Modern, Meticulous And Minutes To Everything! With all the finishing touches complete, this gorgeous abode exudes a relaxed coastal style and showcases a superb floorplan for those who appreciate generous, free flowing interiors. Enviably positioned just minutes from the town centre, Bunguyan Reserve and the Tyabb train station, this sought-after address offers a privileged lifestyle for all ages. ~ Two spacious bedrooms + master suite with mirrored robes, split system air-conditioning and designer ensuite inclusive of a double shower. ~ Beautifully appointed kitchen offering stone benchtops, LG dishwasher, Blanco freestanding oven, double fridge cavity and on-trend subway tiles. 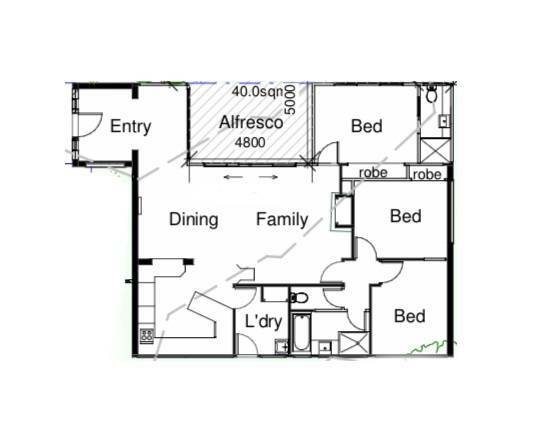 ~ The hub of the home is generously proportioned with open plan living + dining, and a study nook. ~ Bi-fold glass doors create a seamless connection with the superb decked alfresco, perfect for entertaining guests year round. ~ Stylish main bathroom with a separate bath. ~ Climate controlled by split system heating & cooling and an open fire place in the main living zone. ~ Further features include a single carport, low maintenance landscaping and garden shed.